Modern vegetable oils reduce cellular oxygen. PEOs increases cellular oxygen! Why is that important? Because energy and health in cells depend on it. A cell is like a thriving city, full of all kinds of activity. Water, oxygen, minerals and amino acids are the primary constituents of our cellular cytoplasm (cell interior). This is where life-sustaining biological processes mainly occur. Cell membranes (enclosure around cell) are like walls around a city. They guard the city (cell interior) so that everything inside is protected from outside enemies. Essential Fatty Acids (EFAs) are a primary constituent of our cellular membranes. Cell membranes must remain intact around the cellular cytoplasm. If, they were to degrade, that would be like a city’s walls being broken down, leaving the people and infrastructure inside open to attack from enemy forces. Therefore, our cells will strive mightily to maintain the membranes, even if they have to build them out of inferior materials (i.e. inferior EFAs). Unfortunately, if inferior fatty acids are used, cell membranes will not be able to transfer oxygen through the membranes into the cell’s interior. By inferior, we mean trans fatty acids, and processed vegetable oils — that have been damaged and become resistive to oxygen. It can be correctly argued that the most important health habit of all habits is to consume healthy, Parent Essential Oils, so that the walls of one’s miniature cities (our cells) can remain functional and intact and allow oxygen to flow through into the cell interior. So, the question is, are you ensuring that your cells are built of high quality, oxygen-attracting essential fatty acids? Keep Your Cellular Oxygen Levels High... or Else There is a Large Consequence! Cancer, cardiovascular disease, Parkinson’s, Alzheimer’s and much more are all potential results of inadequate cellular oxygenation. These diseases of inadequate oxygenation cause untold suffering and loss of life, that is totally avoidable once one understands how cellular oxygenation takes place. Having ample oxygen in the cells of tissue is at the top of “best health insurance practices” anyone can have. And, all it really takes is switching one’s oil consumption from oils that degrade cellular oxygen content (i.e. 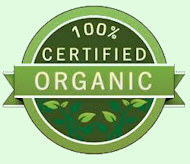 today’s, grocery-shelf vegetable oils) to oxygen-friendly oils, called Parent Essential Oils (these oils are Alpha-Linolenic and Linoleic fatty acid containing seed oils that are extracted without damaging heat or damaging processing techniques, and protected from oxidation). The most fundamental issue to human life is the making of energy inside each cell of the body, by converting oxygen and fuel (fat and sugars) into ATP energy. (ATP is the energy cells use to function). As described above, a vital key to this energy process is having an adequate amount of oxygen inside the cell. If there isn’t an adequate amount of oxygen, then energy production is unavoidably restricted (just as any fire must have ample oxygen in order to continue to burn). When energy production is inadequate to meet cellular needs, then many cell operations do not proceed normally, allowing disease to occur. 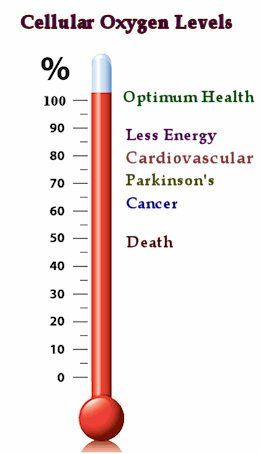 The above concept is the scientific logic behind why Brian Peskin says that Cancer, Parkinson’s, Alzheimer’s Cardiovascular Disease and other diseases are either directly caused or greatly accelerated when cellular oxygen levels are less than optimum. Ample Cellular Oxygen is the MASTER KEY for avoiding many of life’s most devastating health challenges. And, because most people don’t understand how to keep cellular oxygen high, millions of people have suffered and are currently suffering the consequences of inadequate cellular oxygen. At the most fundamental level, a cell’s oxygen level is the result of the permeability of that cell’s membrane to oxygen. Oxygen permeability is simply the rate of transfer of oxygen from the blood through the cell membranes into the cells. Cell membrane oxygen permeability grows out of whether one’s cell membranes have been constructed from oxygen transport friendly oils... or not. What is the single most important element for sustaining human life? Oxygen is Essential to Life. The answer is that oxygen must ultimately go into each cell of the body by going through the lungs, through the bloodstream and through the cell membrane of each cell into each cell’s cytoplasm. And, there may be barriers that hinder the travel oxygen to its ultimate destination, the CELL. Lung problems (asthma, COPD, etc.) can be a barrier to oxygen reaching the bloodstream. Hemoglobin problems (anemia, not enough iron) can be a barrier for oxygen being transported through the bloodstream to the cells. And cell membrane problems (membranes constructed from adulterated fatty acids) can be a barrier for oxygen reaching the cell’s interior. Of the above three problems, the most pernicious (because it is the least understood, and therefore, least defended against) is when the cell membrane is a barrier to oxygen reaching a cell’s cytoplasm. Blood oxygen saturation can be high while cell’s are trying to function on insufficient oxygen. This occurs when cell membranes are not built from unadulterated, oxygen-attracting oils known as Parent Essential Oils (aka Linoleic Acid and Alpha Linolenic Acid). These oils come from seeds, both vegetable and flower seeds and are little consumed today. You have 100 trillion cells in your body and all of them have a cell membrane — and over 30% of the “material” from which those membranes are made are polyunsaturated fatty acids (i.e. oils). This video is a must watch... only 13 minutes... about why unadulterated seed oils, IE PEOs, are among the most important of all supplements. Unfortunately, in our modern world, most people consumed denatured polyunsaturated fatty acids... that is oils that have been changed from oxygen-attracting to oxygen-resisting... in pursuit of long shelf life. Denatured (cooked or damaged by manufacturing practices that seek to make a long shelf life product) polyunsaturated oils are dangerous to your health. Long term use of denatured polyunsaturated fatty acids ranks with eating sugar as among the world’s worst health habits because denatured polyunsaturated fatty acids will be used in making your cell’s membranes and restrict the flow of oxygen into your cells. The product Parent Essential Oils does exactly the opposite - it increases the transfer rate of oxygen from the bloodstream into the cell. Parent Essential Oils (with its perfect ratio of undenatured polyunsaturated fatty acids from Flax Seed, Pumpkin Seed, Borage Seed, Evening Primrose Seed and Sunflower Seed) is vital to our cellular health because they of the healthiest fatty acids, Linoleic and Alpha Linolenic fatty acids. Not only do these fatty acids function extremely well to allow oxygen to transfer freely into cells, but also they are the parents of the derivative fatty acids, DHA/EPA fattu acids aka Omega 3 and Omega 6 fatty acids that are the current craze in health circles. However, with PEOs, you won’t be overdosing on them, but your body will make the amount you need. The presence of oxygen in the cell interior is vital to avoiding cancer, heart disease, Parkinson’s and many other illnesses. The reason is simple - oxygen is vital to energy. Anything that interferes with the making of cellular energy can have bad health consequences. In fact, low cell oxygen is similar in some respects to a fire that isn’t getting enough oxygen. After a while such a fire starts to go out, or barely smolders, instead of being a healthy blaze. For some reason, it has taken until very recently to understand that the oils we eat are one of the bigger keys for how much oxygen gets inside our cells. You could say that the oils we eat make or break our health. How to become “cancer-proof” will seem like child’s play once you understand this connection. Brian Peskin wrote the watershed book entitled “Hidden Story of Cancer”, (now replaced by the book entitled PEO Solution) in which he points to the work of Nobel Prize winner Dr. Otto Warburg regarding the cause of cancer being inadequate cellular respiration (oxidizing of fuel in the presence of oxygen in the mitochondria to make energy) and how modern processing of vegetable oils for long shelf-life leads to denatured oils that are resistive to the transfer of oxygen (this is what oil manufacturers want so that oils don’t go rancid). These denatured oils incorporate into our cell membranes and resist the flow of oxygen into the cell, setting the stage for our modern epidemic of cancer. We believe that after reading one of Brian Peskin's books, it will become as plain as the nose on one’s face that cancer is the natural result of eating modern vegetable oils, partially hydrogenated oils or any adulterated oil. These denatured oils are problematic for the human body because they incorporate into our cell membranes and reduce the ability of our cells to receive adequate amounts of oxygen from the blood — meaning that cellular oxygen content becomes less than what it would otherwise be if those adulterated oils hadn’t been consumed. Quickly summarizing: Nobel Prize Winning Scientist Dr. Otto Warburg taught that when oxygen content in a cell is reduced by 35% of its normal requirement, that cell will stop trying to use oxygen to meet its energy needs and will rely, instead, on glycolysis (fermenting sugar anaerobically) to gain energy. Such sugar fermentation, resulting from inadequate cellular oxygen content, is what Dr. Warburg calls the prime cause of cancer. Along with other scientists, Brian Peskin, an MIT trained scientist, has hypothesized that modern cell membranes have been rendered resistive to the flow of oxygen from blood stream to cell interior because of the eating of processed vegetable oils and that this is the major, modern cause of low cell oxygen and, consequently, cancer. So, in modern times mankind is experiencing an epidemic of cancer, the root cause of which is insufficient oxygenation at the cellular level. Brian Peskin is not alone in his theories — an emerging group of scientists believe that a major reason for this epidemic is the consumption of oxygen-barrier oils, i.e. standard consumer oils, that become part of our cell membranes and block oxygen diffusion into our cells. To help ensure your cells are optimally oxygenated thereby increasing their immunity to cancer and other diseases, you need to avoid eating oxygen-resistant oils and consume instead oxygen-diffusion-enabling oils that Brian Peskin calls Parent Essential Oils, aka undamaged Linoleic and alpha-Linolenic oils. The desirable oils, Linoleic and alpha Linolenic oils are a “tag-team” meaning that exclusively eating only one of them will not result in maximal increases in cellular oxygenation. Both of them are needed, in a balance of approximately 2.5 to 1 (Linoleic to alpha Linolenic). If you ignore these Parent Essential Oils and eat, as is common, “oxygen-resisting oils, including vegetable oils, margarine, (partially) hydrogenated oils, etc., and bakery products that are made from oxygen-UN-friendly oils, then you will be doing so knowing that you are ”throttling down” the oxygen diffusion into your cells significantly, and setting the stage for eventual serious health challenges. On the other hand, if you are consuming plenty of Parent Essential Oils (aka Linoleic and alpha-Linolenic containing oils), then you can be doubling (or more) the rate of oxygen diffusion from your blood into your cells. Please note that corrupted vegetable oils really did not exist before modern technology gave the manufacturers the ability to process vegetable oils in such a way as to give them long shelf life by reducing their affinity for oxygen. (To manufacturers of vegetable oil — oxygen is the enemy of long shelf-life and profits. We should not eat modern vegetable oils (and even more especially not after they have been heated) because they will reduce the amount of oxygen going into our cells. The healthiest oils are thin, oxygen attracting oils, especially seed oils containing Alpha-Linolenic and Linoleic fatty acids that are extracted without damaging heat or other damaging processing techniques, and that are protected from oxidation. This is a description of Parent Essential Oils. Bottom Line: The Oils You Eat Hold the Key to Your Cellular Oxygen Levels... And To Whether You Develop Cancer, Cardiovascular Disease, Parkinson’s, Alzheimer’s, Etc. or Not! For an average sized person (120 to 160 pounds), we recommend consuming one capsule or 1/4 teaspoon per 40 pounds of body weight. So, a 160 pound person take 4 capsules daily or 1 teaspoon of the liquid. Athletes trying to improve performance someone trying to improve health more rapidly would up to double that amount. The liquid is great for adding to a protein shake. Do not warm these products to above 140 degrees temperature. Copyright 2008-2016 Healthy-Living.Org. All rights reserved.